Some Trinamool leaders claim the clash was between local criminals. But Partha Chatterjee, Trinamool secretary general, expressed concern and said such intra-party feuds would not be tolerated. The matter will be probed, Mr Chatterjee said. Kolkata: A ferocious gun battle between a "mother and yuva", as it were, has cost a nine-year-old boy his life at Basanti in the Sunderbans of West Bengal. The term "mother" here refers to the Trinamool Congress, headed by Chief Minsiter Mamata Banerjee. "Jubo" is Trinamool Yuva, headed by her nephew and party MP Abhishek Banerjee. The "mother-yuva" terminology is what villagers call them - mother Trinamool and jubo Trinamool who are at war at Basanti over turf. A situation that is likely to get much worse ahead of panchayat elections due soon. The gun battle on Thursday at Hetalkhali village killed the nine-year-old Class 4 student, Riyajul Mollah, on the spot as he was walking home from school. A Trinamool Yuva worker was also shot dead. A Class 8 student, Alamgir Laskar was also hit by a bullet and five others, including a policeman, were also injured. Today, a huge police force was on the spot conducting house to house searches. According to some reports, some 400 cartridges were found. Seven people have been arrested, including the husband of a Trinamool panchayat deputy chief. 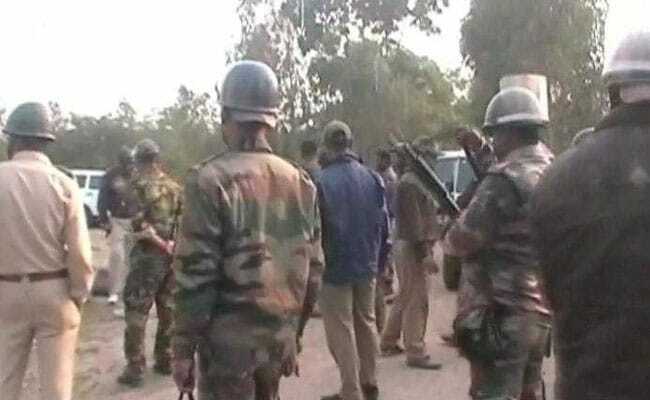 According to villagers, this is the sixth gun fight in the last nine months in the area between TMC 'mother' and TMC 'yuva'. TMC mother is the faction led by local legislator Jayanta Naskar. His local henchman is one Abdul Mannan Gazi. The local Trinamool Yuva leader is Satyakat Mollah. His henchman is Amanullah Haq. Allegedly, the two groups were at loggerheads over controlling a local 'mela' but sources suggest the real fight is over fishing ponds and land. The CPM's youth wing, SFI, blocked roads in the Mallikbazar area of central Kolkata today to protest the incident. The BJP and Congress have condemned the incident.